Though born in Norway, Lasse Skarbövik has lived in Stockholm since he graduated from the Berghs School of Communication. He is one of the founders of Stockholm Illustration, but for years he has worked as a freelance artist for clients around the world. In addition to his illustration work, he has produced several murals and outdoor and indoor projects and designed patterns for different textile collections. His client list includes such prominent names as The New Yorker, BusinessWeek, IKEA, Time magazine, The New York Times, The Economist, Financial Times, Chicago Tribune, Boston Globe, Harvard Business Magazine, Viskaform, The Independent, CA Magazine, Yale Magazine, Waitrose UK, Le Mondeand Upbeat-UK. 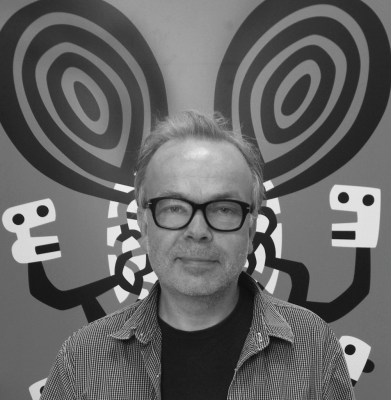 His work has been recognised with distinctions and featured in publications across the globe, including American Illustration, 3×3 Annual, Print Magazine, Communication Arts, Association of Illustrators Annual, Images UK, Applied Arts Illustration Show, and the HOW Magazine International Design Awards. 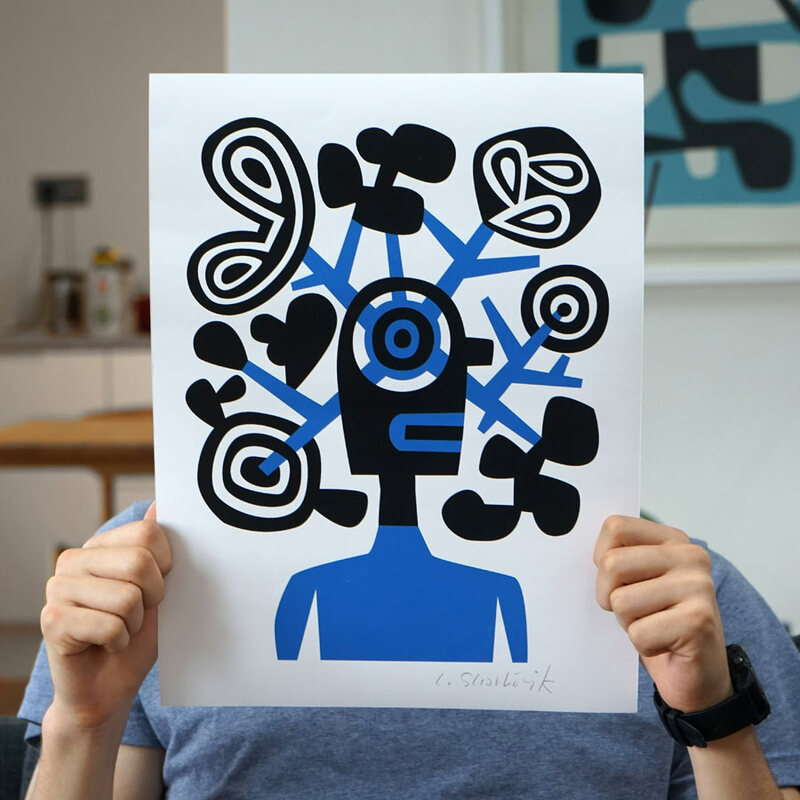 Skarbövik’s creative style borders on formal abstraction, and the human figure—or part of it—is present in his work, but in a playful, almost mocking way that shows how the artist laughs at himself and the human condition in general.